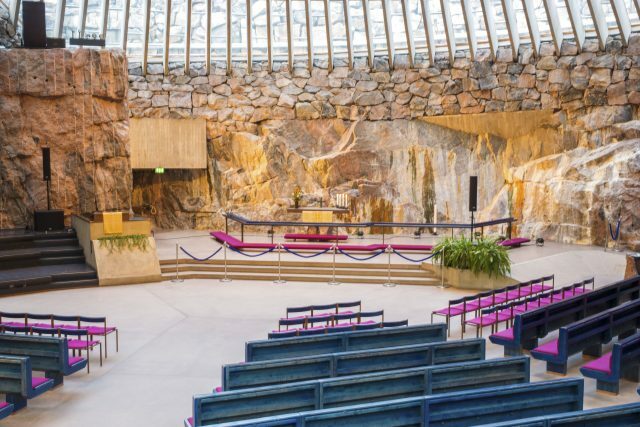 View of the interior of the beautiful rock church in Helsinki, Finland. 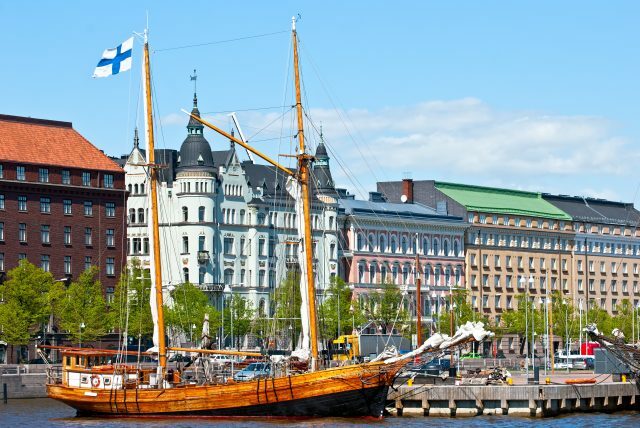 The musical instrument is entirely in metal and bronze. 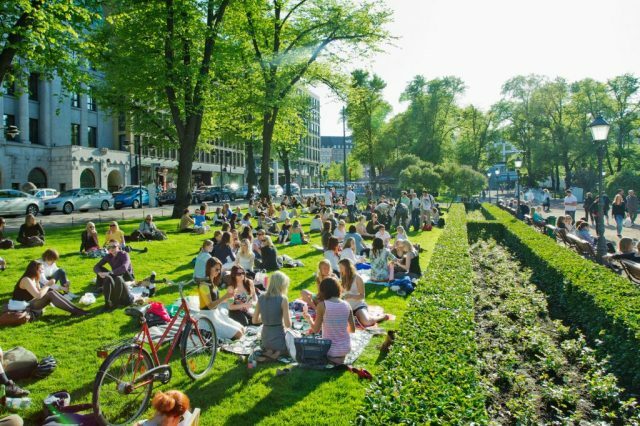 The benches are in blue wood. 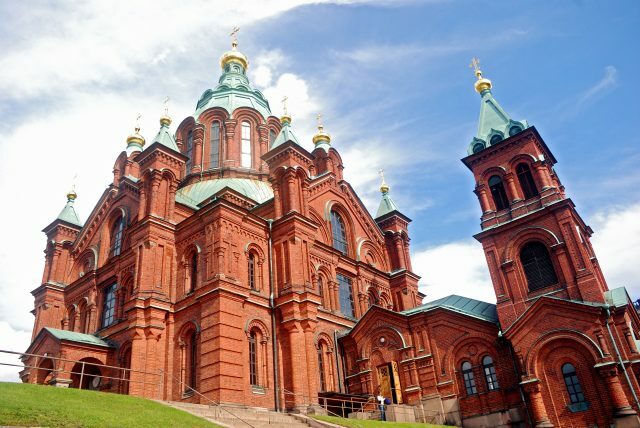 Enjoy a journey to the most popular Helsinki attractions from panoramic seaside views to Rock Church the accessible way. Entrance to Rock Church is subject to scheduled religious and private services. 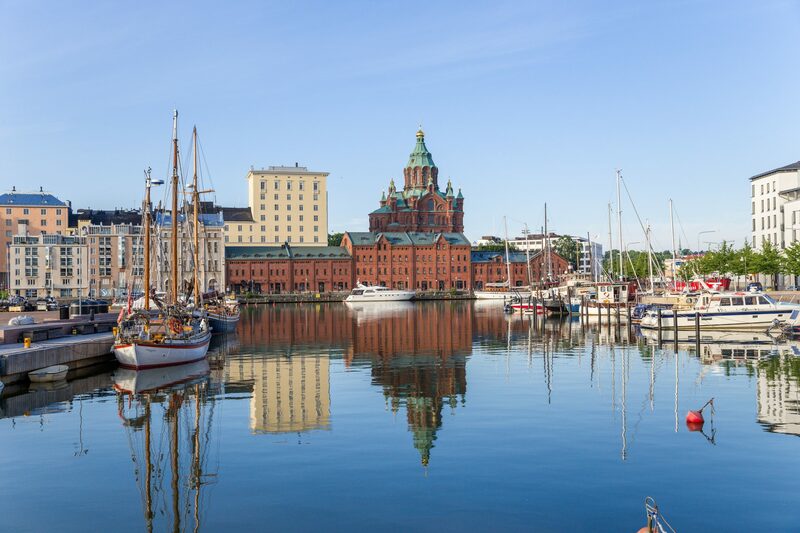 Discover Helsinki in comfort on a tour designed to take you from celebrated Nordic design and architecture to the best of local culture on your own accessible tour vehicle. 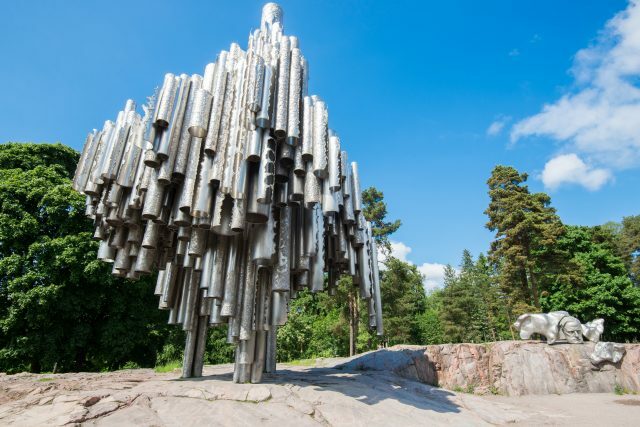 We will break for a photo stop at the lush Sibelius Monument & Park, see the Olympic Stadium and visit the Temppeliaukio church ( Rock Church) famous for its special architecture, excellent acoustics and solid rock walls. 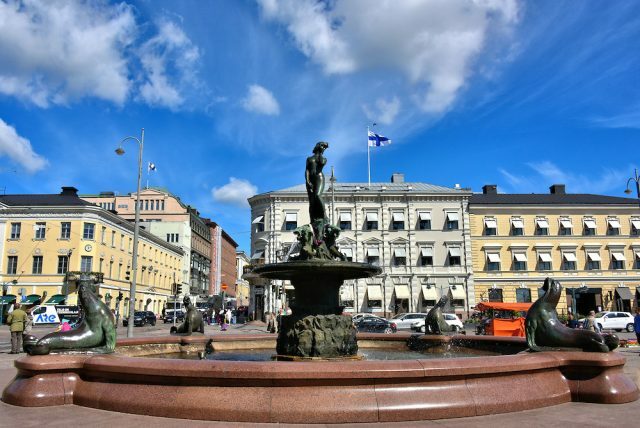 Among the architectural pearls we will see are the Uspenski Cathedral, Central Railway Station and many of the art museums lining the Mannerheimin Boulevard. 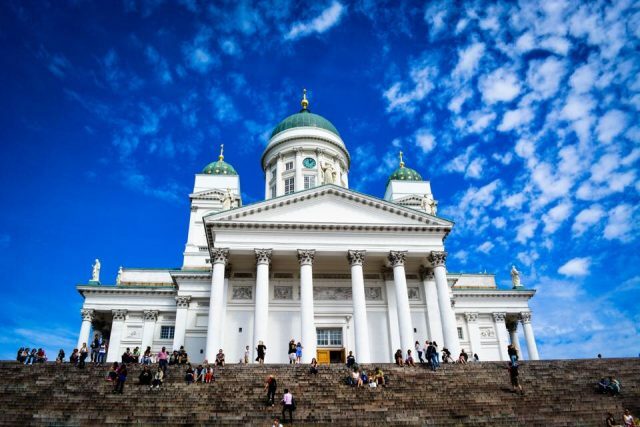 The Senate Square and Helsinki Cathedral are one of the most photographed buildings in Helsinki on our way to the wonderful Esplanade park and the Market Square. 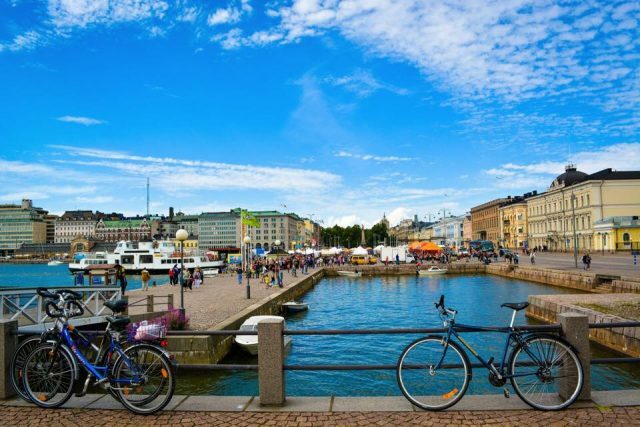 Not only a center of trade for hundreds of years, but a perfect place to enjoy a local bite at the markets many stalls offering seasonal berries, fish and pastry. 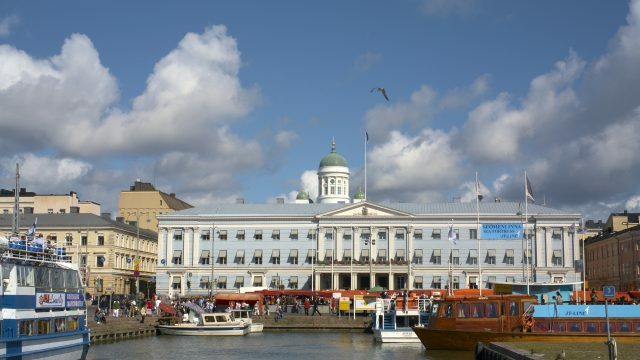 Surrounding the square are the notable Finnish Presidential Palace and a market hall. A panoramic drive back to the cruise port/ hotel will end the day of exploring.